A typical EOS camera battery can be used in several Canon cameras. It’s essential to carry at least one spare battery for your digital camera. No battery means no photos. 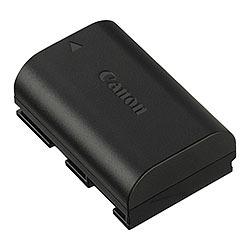 Fortunately Canon has a good record of using an EOS camera battery for several different models, ideal if you are upgrading from one camera to the next. To find out which EOS camera battery is designed for your EOS camera please check the table below where the EOS camera batteries are listed, and then within each section you can find the cameras and accessories that also use the same battery. The LP-E4 EOS camera battery was introduced with the EOS-1D Mark III, it can be used with all the following EOS cameras, though some models include the updated higher performance LP-E4 N battery as standard. LP-E4N batteries must be charged with the LC-E4N to achieve full performance. The LP-E5 EOS camera battery was introduced with the EOS 450D. The following EOS cameras use the LP-E5 battery. The LP-E6 EOS camera battery was introduced with the EOS 5D Mark II, it’s the successor of the old BP-511 battery. All the following EOS cameras & accessories use the LP-E6 battery. The EOS 7D Mark II launched with an upgraded LP-E6N battery that is the same shape and size with increased power. Due to the success of the EOS 5D Mark II amongst the film making community, there are a number of third party lights, video monitors and more that can be powered by the LP-E6 battery. The LP-E8 EOS camera battery was introduced with the EOS 550D. The following EOS cameras use the LP-E8 battery. 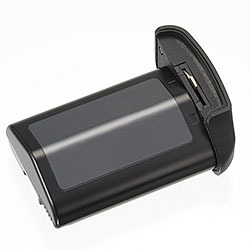 The LP-E10 EOS camera battery was introduced with the EOS 1100D. The following EOS cameras use the LP-E10 battery. The LP-E12 EOS camera battery was introduced with the EOS M. The following EOS cameras use the LP-E12 battery. was introduced with the EOS 750D / 760D / M3. The following EOS cameras use the LP-E17 battery. The LP-E19 EOS camera battery was introduced with the EOS-1DX Mark II, the LP-E4 and LP-E4N batteries can be used with slightly reduced maximum continuous shooting speed. 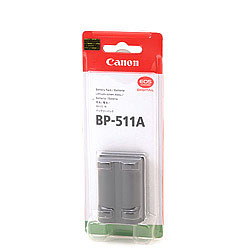 When Canon introduced the EOS D30 they borrowed a battery from the video division, the BP-511. The battery got a boost in capacity and the BP-511A name during it’s life. 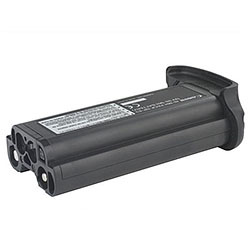 There’s are BP-512 / BP-514 batteries introduced for video cameras with a smooth back instead of having a ridge. Cameras from the EOS 20D onwards can work with either kinds of batteries. The NB-2L & NB-2LH EOS camera battery was introduced with the EOS 350D. The following EOS cameras use the NB-2LH battery. The NP-E3 EOS camera battery was introduced with the EOS-1D. The following EOS cameras use the NP-E3 battery. Product links on this page link to Amazon.co.uk , and I do receive a small percentage of the purchase price from Amazon for directing you to their website. Of course other vendors exist.